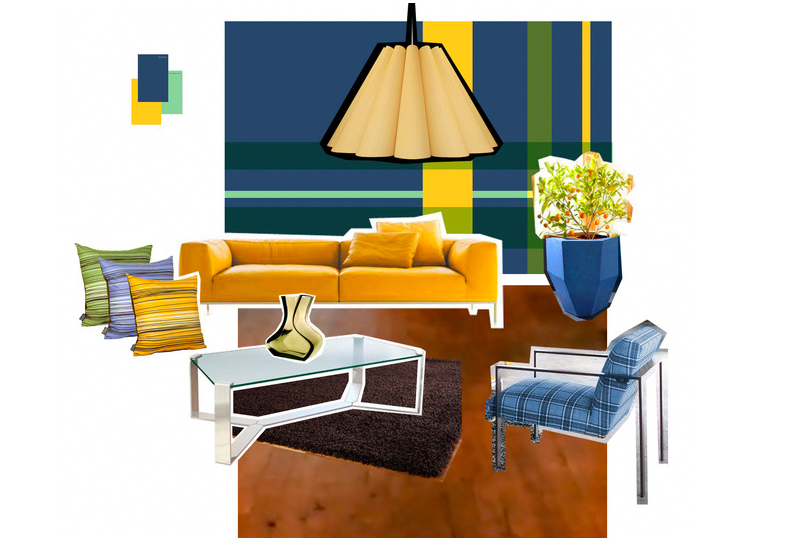 We loved perusing the entries from the latest round of the Glidden Paint and Dwell.com Color Me Impressed Design Competition - so we decided to post our favorites! Check out our final four. First up is Happy Plaid submitted by Laura Treichel! 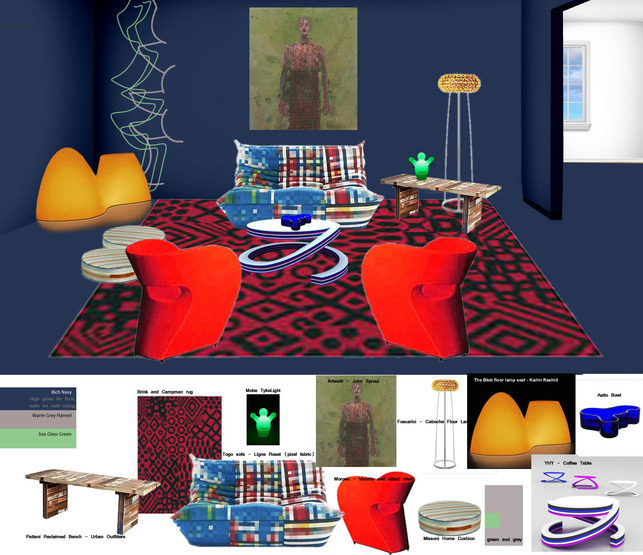 The challenge was to submit colorful collages based on a brightly hued textile compilation adapted for the living room. Our four finalists were picked for their bold colors, modern mash-ups, and inventive relationship to our muse. Jersey Stripes by Laura Winger. 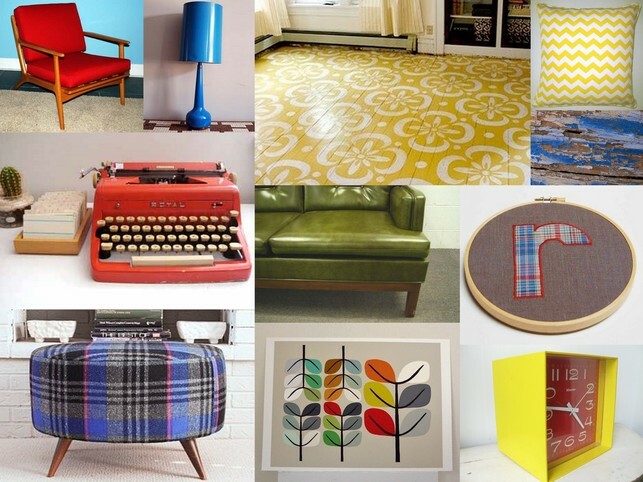 Mid-Century Vibrant by Amanda Robertson. And SuperBlue by Emily Plewe. Thank you to all those who entered! If you didn't win this time, try your hand at Color Me Impressed: Round Three, which ends October 31st.